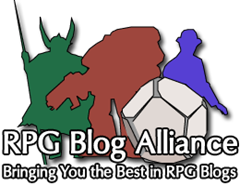 The RPG Blogger Alliance comes together each mon th with a random topic, hosted by one of the member sites. This month, Unusual Dungeons, hosted by Enderra. I truly enjoy the content found at RPGBA, dozens of the sites there I keep on my personal feed and read regularly. Collectively, they’re a constant source of inspiration and wonder. Occasionally producing content to share in those circles is a not-so-guilty pleasure of mine. Particularly when it strikes a topic that I hold dear. When adventurers first encounter this long forgotten tower, it is little else besides a 10′ diameter single story room with two open balconies, but no door. Climbing over the floor level balcony takes you into a room with stone benches around the perimeter and a highly sophisticated mechanical trap door that rises out of the floor revealing the a staircase entrance to the level beneath it. The tower is not unguarded however, a spirit of a long-dead dwarf perpetually haunts the ground level (albeit ineffectively) using unearthly howling and conjuring foggy mist. Neither effect causes a supernatural fear, and the spirit can be intimidated into ending his trickery. He refers to himself only as the Keeper of the Tower, and will vaguely recall being of the family line which the tower is named for. The Keeper is a handy plot device to guide players as they uncover more of the tower. The floor below is slightly larger, a library of sorts. Here they can piece together the design and function of the tower. Giving information to the Keeper will unlock some of the memories that had been lost to time. The tower itself is a gnomish device on a massive scale. Centuries ago the dwarven clan of Gamaldur worked in vague manner with the now-destroyed gnome population in the area to build a fortress capable of capturing and storing evils that attacked it. Each floor of the tower is larger beneath, and as evil is eliminated, security measures can be bypassed which allow it to rise out of the ground indicating a level of safety has been attained. With great difficulty, many of the diagrams can be made sense of for a general concept, but specific technical detail to recreate it comes off as total gnomish inventor gibberish. The Keeper of the Tower, upon hearing this new information will detail how to initiate raising the tower. Each floor will have a control panel and a keystone, as one would expect, both are hidden. Magical algorithms will determine the safety levels, and neither will be functional until the floor is cleared of evil or dangerous denizens. From here you have a two-fold adventure on your hands. Clearing lower and lower floors of evil inhabitants, provided they can persist with no apparent escape, or searching through trapped wastelands of empty floors currently populated by corpses of creatures that couldn’t sustain on their own. For each floor raised from the ground there is the potential for a larger and growing base of operations that when even partially completed will become a waypoint for curious travelers, merchants, and possibly lords of the realm looking to secure their territory. One of the unknown dangers of the tower however, is that it does over time attract the creatures it was designed to capture. Larger sections of the tower invite greater relative dangers. Digging into the history of the Gamaldur line will reveal several references to the tower. It’s existence is apparent, but references to it’s location will have been removed. After a set period of time in the distant past, it appears the Tower is not spoken of again. The true reason it was allowed to be buried and forgotten, although never revealed, is that maintaining a perpetual force to deal with these creatures is far too costly. The eldest of living dwarves would be able to infer that wisdom once a significant amount of information has been uncovered and they’re suitably convinced. Do adventures give in to the previous course of history and allow this tower to recede back into the ground, or attempt to find a way to remove it’s curse and establish a new point on the map? My campaign is paused currently at the level involving drow who have inhabited the tower and use teleportation magic to travel between there and the underworld. They also believe a dragon rests on the bottom layer, but that’s only rumor so far.